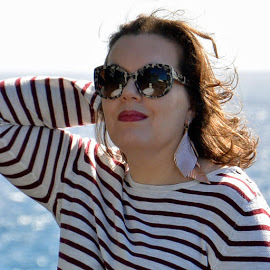 Anyway, if your idea of the perfect holiday (in mid-winter) is spending your days on the beach, baking in the hot sun, Madeira is not your destination. For starters, it’s not hot. Which makes it perfect mid-winter holiday destination for me. I hate hot weather, and I hate the beach. I never sunbathe, and I can’t swim (yes, I know, very odd for someone coming from ‘the land of a thousand lakes’). The weather in Madeira in December is very pleasant: around 18-20 °C (about 64-68 °F). Not exactly beach weather, but if that’s what they call winter, I’ll take it. For me, that’s the perfect weather: neither too hot nor too cold. However, that meant I had to pack a few ‘colder weather’ outfits, too. 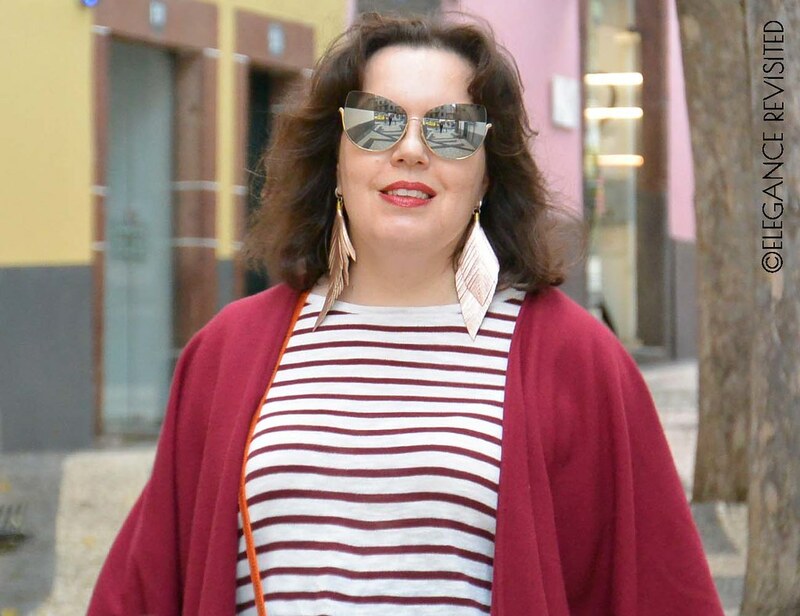 enter the two of most most worn pieces: the Burgundy and white striped top and the burgundy poncho. 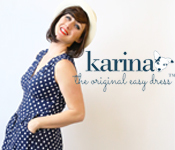 I won’t even try to count how many times these two have been featured on the blog (either together or separately). 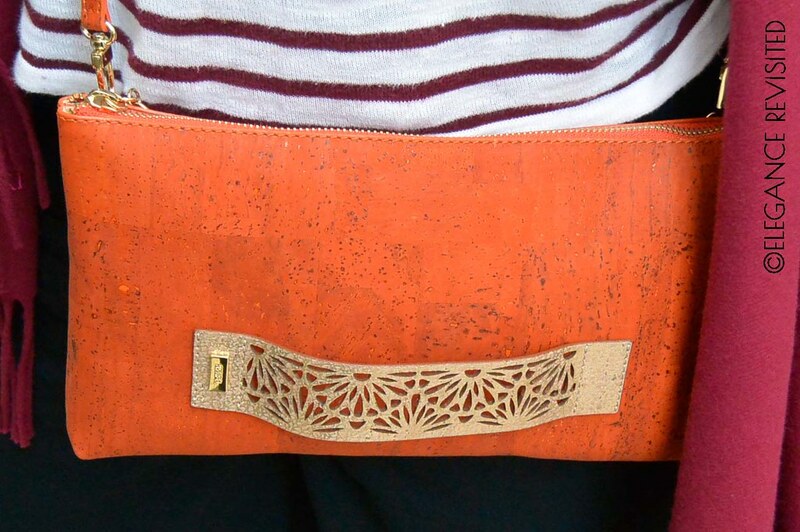 The little cork bag can be worn as a clutch or across the body. And the shoes… Well, another one of those impulse purchases. Note the thick soles. That’s what you need in Madeira. Seriously, forget any shoes without soles at least 3-4 cm thick. They’re just useless, dead weight in you suitcase. 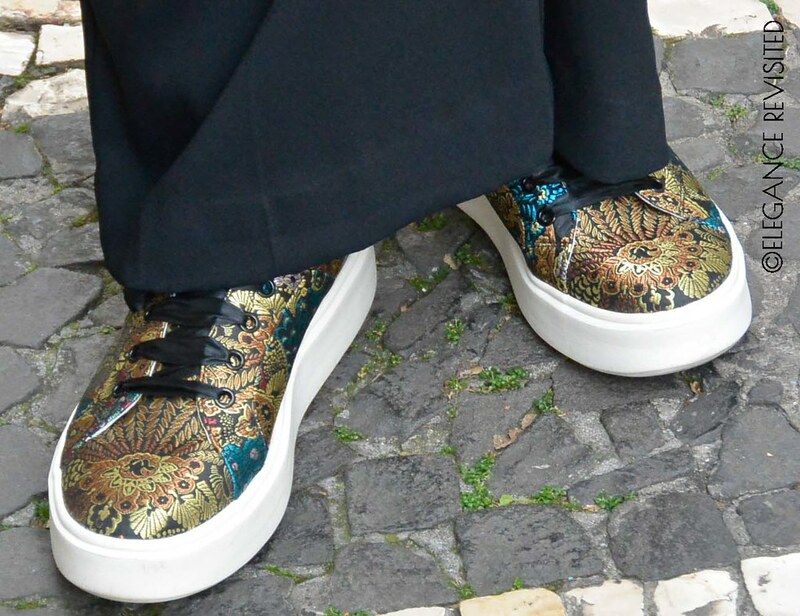 You need some serious walking shoes in Madeira. And I’m not talking about hiking now; even if you have no plans for levada walks, you need proper footwear to navigate the city streets. What’s your ideal mid-winter holiday destination? Thanks, Maria. Madeira is a great place for a winter holiday. The weather is pleasant and there’s a lot to do. I’m totally in love with your new sneakers, so fabulous! and the sole looks perfect for a walk on those cobblestones! Also love your bag, such a cute piece, colorful and really original! 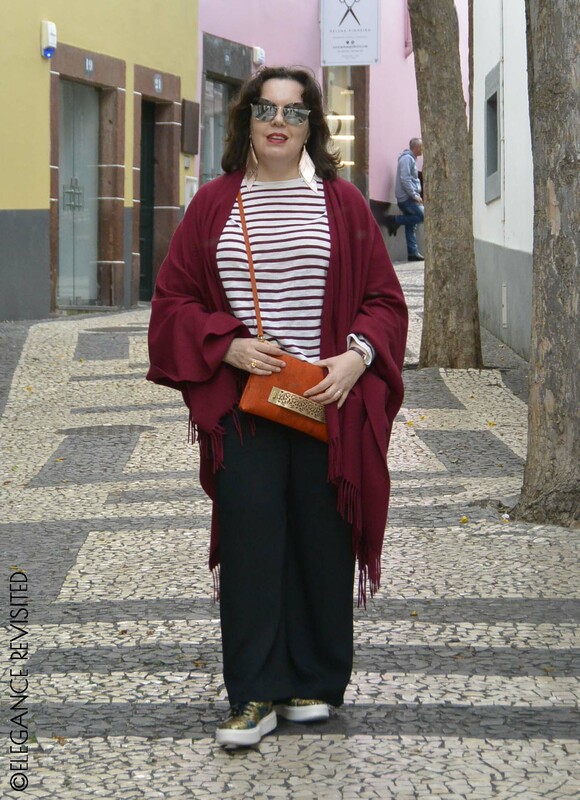 Your burgundy shawl keep on rocking! Madeira in Winter sounds good to me too, a bit like many parts of Australia in Winter. I,m not a beach girl either . Those shoes are really fabulous and look so comfortable for walking. Your outfit is just the perfect mix of stylish and casual. Thank you, Ivana. The print is what made me buy them, although it’s not my usual style. Thanks, Jacqui. This is not a typical choice for me as far as footwear is concerned. I tend to go for something more understated (and versatile). But I hope to get a lot of wear out of these shoes nevertheless. In your outfit, it’s all in the details, The sunnies, the earrings, the shoes. And everythings so understated. One has to look twice. So cool understated! Genia. Thanks, Nicole! That’s the essence of Finnish style: keep its simple and understated, but pay attention to details. This outfit looks so comfortable and practical. I don’t see a lot of cork handbags, but I really like the texture. Thanks, Kimberly. 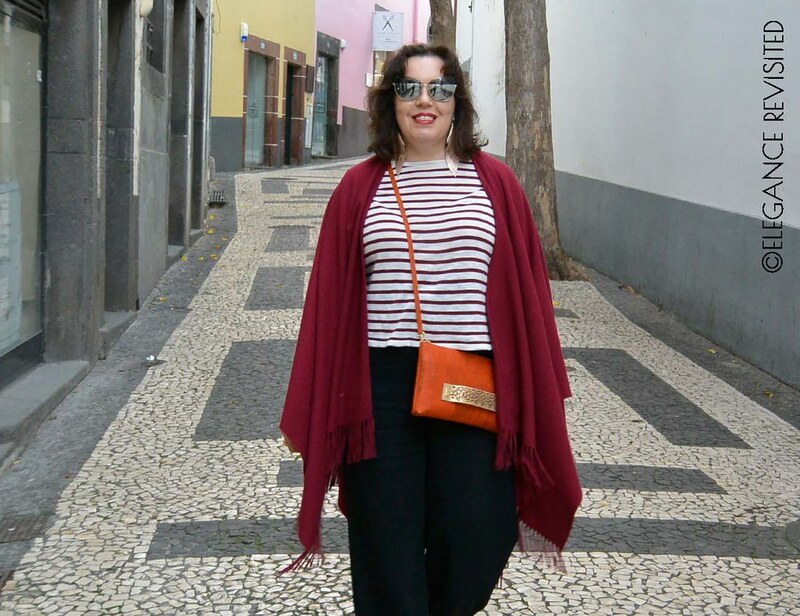 They make all sorts of bags (and belts, and hats, and even umbrellas) from cork in Portugal. Some of the stuff is the usual touristy crap, but there are also items that show real craftsmanship and are truly special. 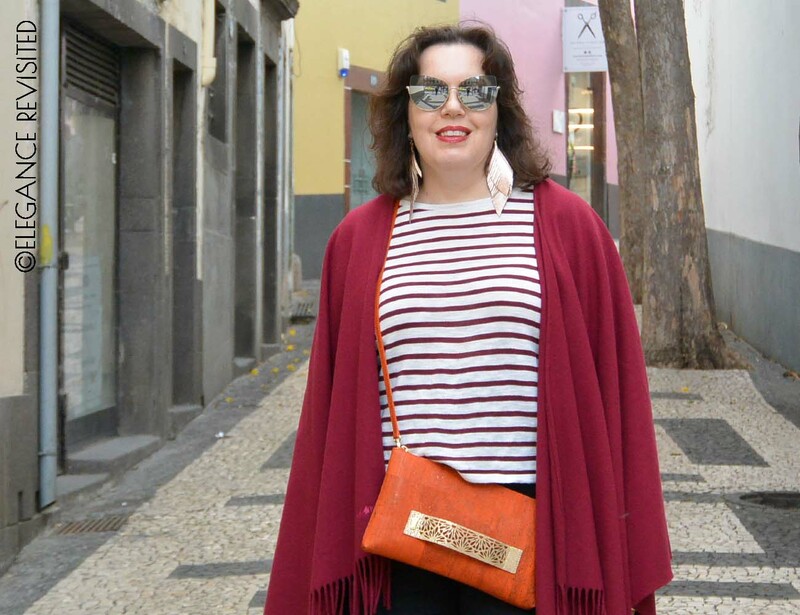 There’s a little shop in Funchal (Madeira) I always go to, and they have really beautiful items (accessories, kitchenware etc) that are more upmarket and trendy.